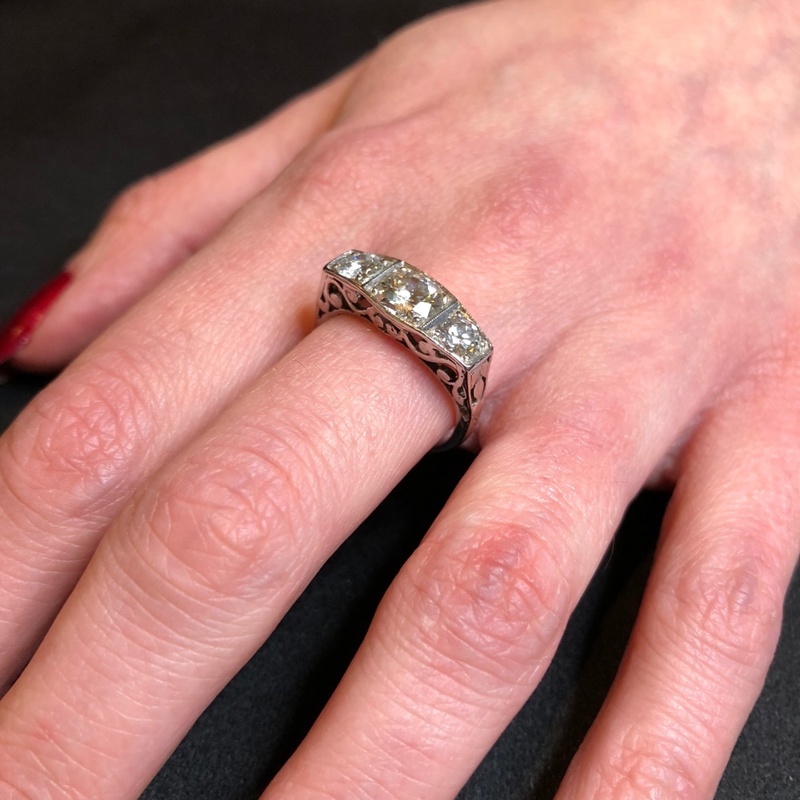 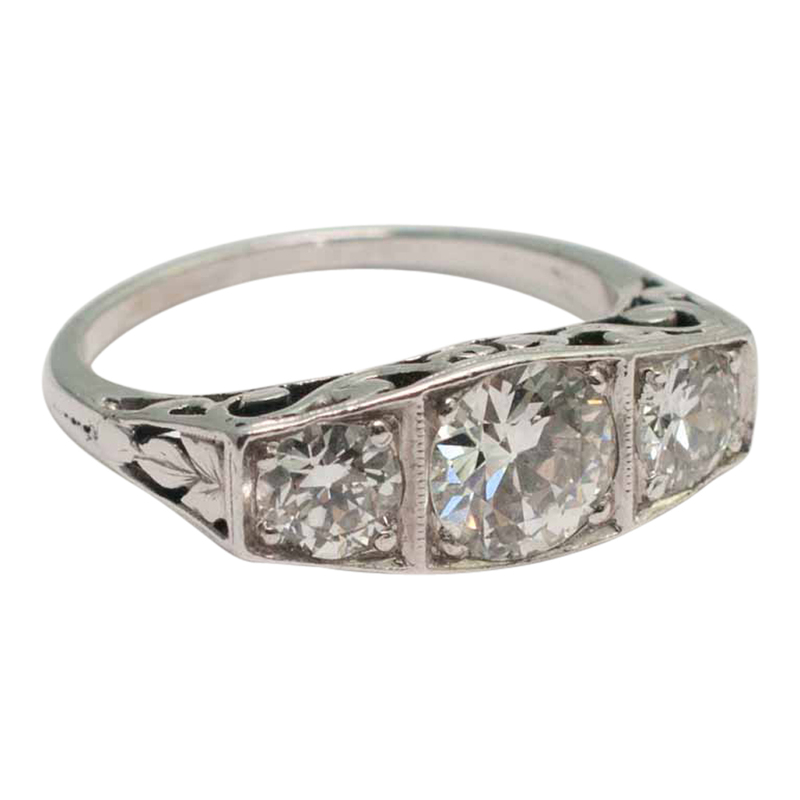 Art Deco diamond and platinum trilogy ring; the centre Transitional Cut diamond weighs 0.75ct and is flanked by two smaller Transitional Cut diamonds, each weighing 0.35ct. 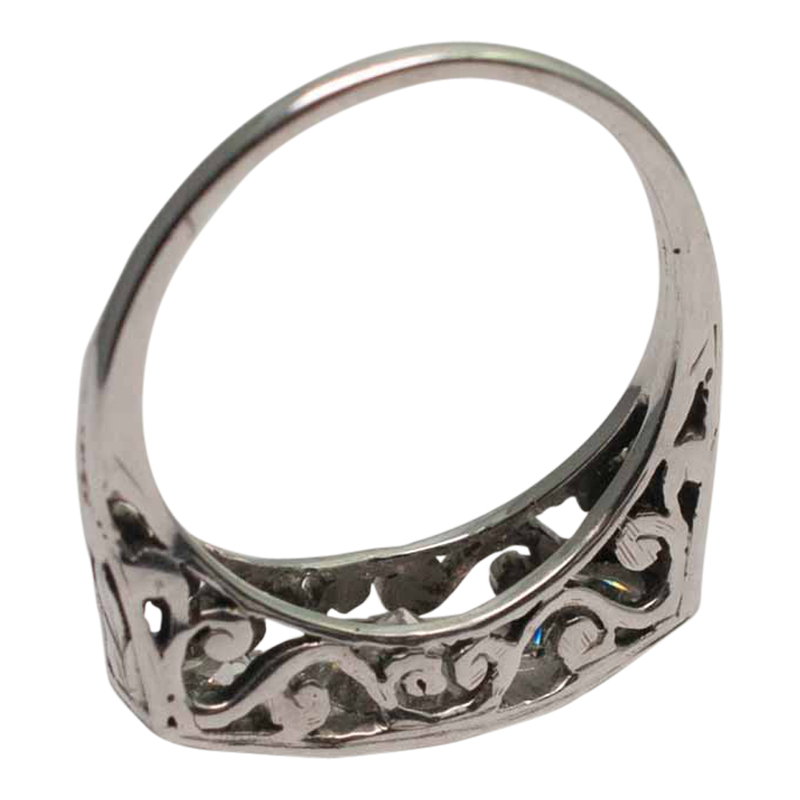 The mount is finely carved with pierced scrollwork. 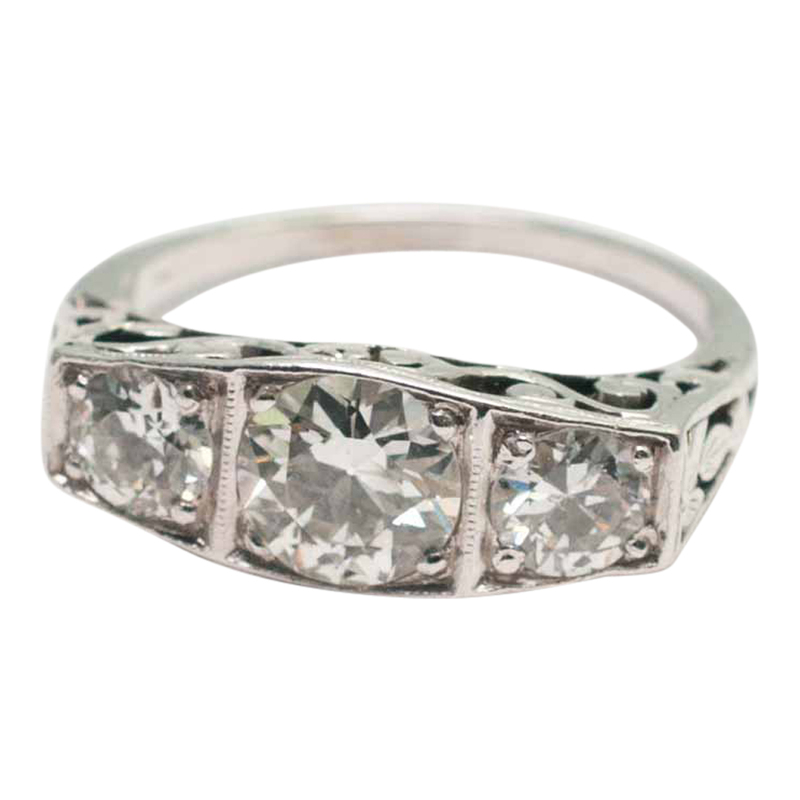 The diamonds are clear and bright with great brilliance causing the ring to sparkle when it catches the light. 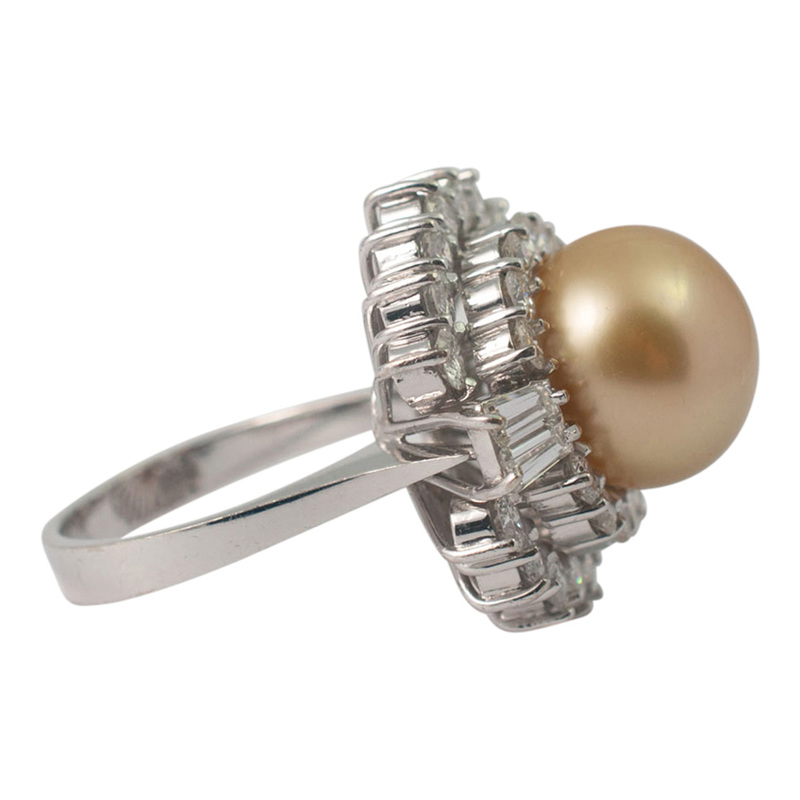 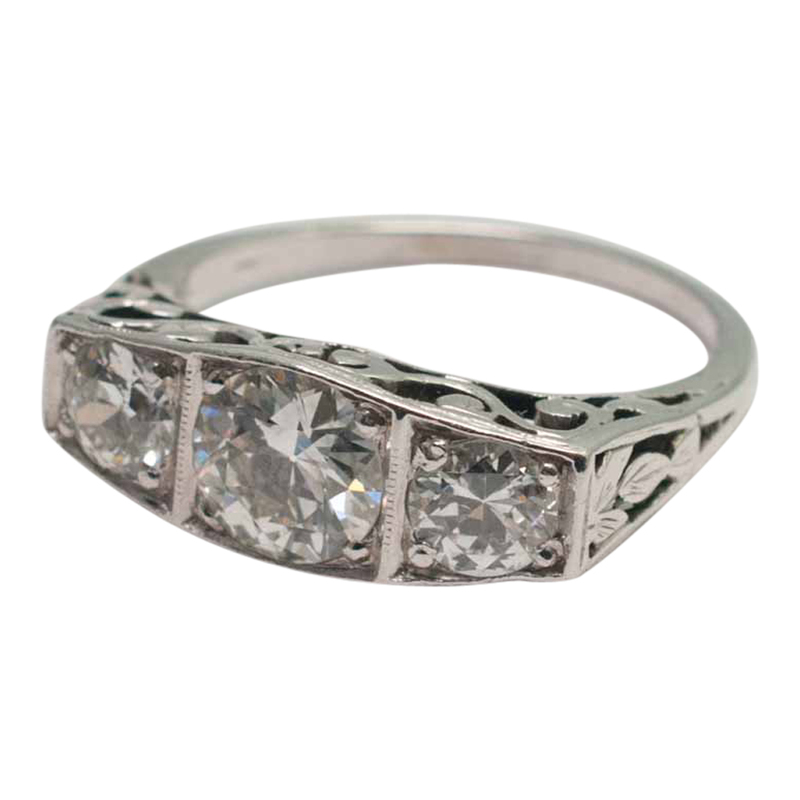 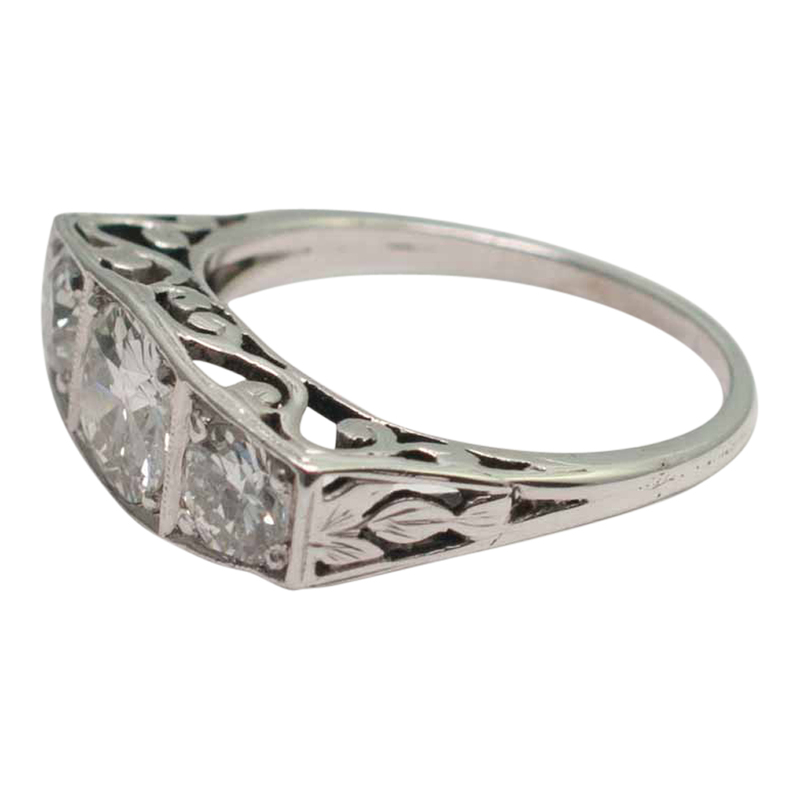 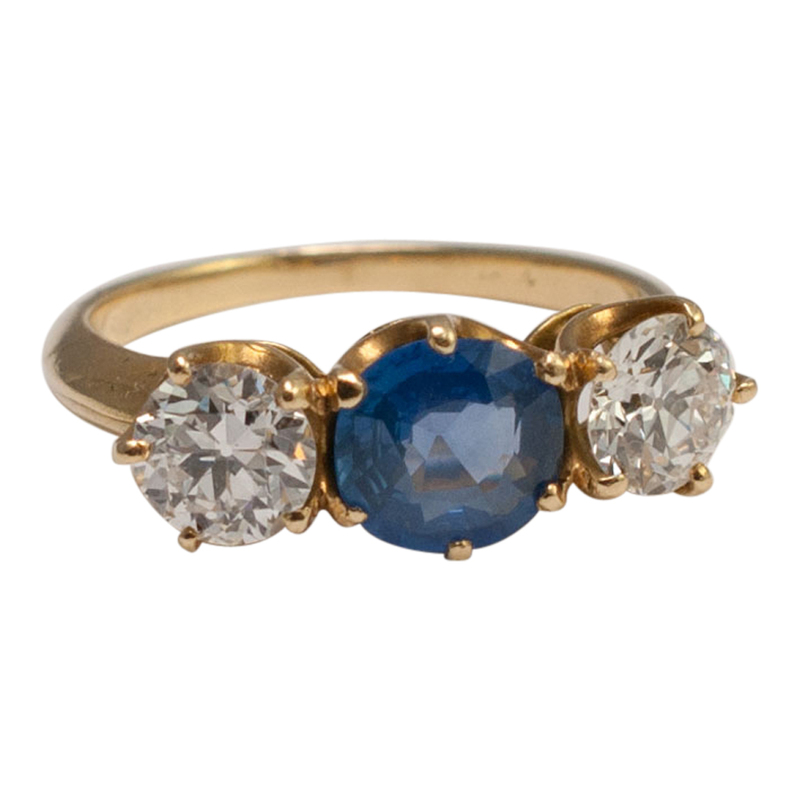 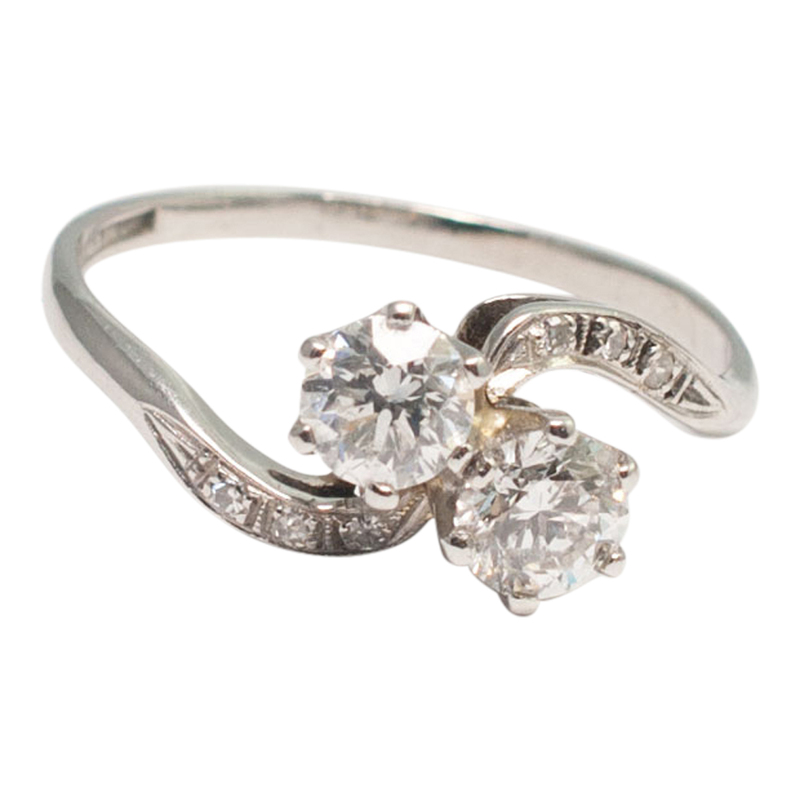 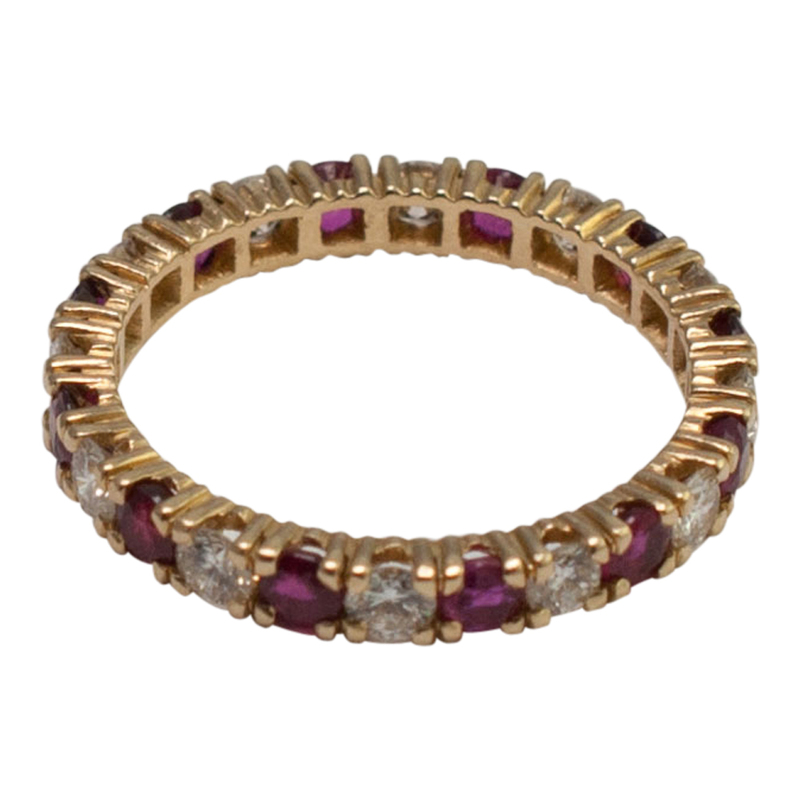 This is a gorgeous ring from the 1930s in excellent vintage condition. 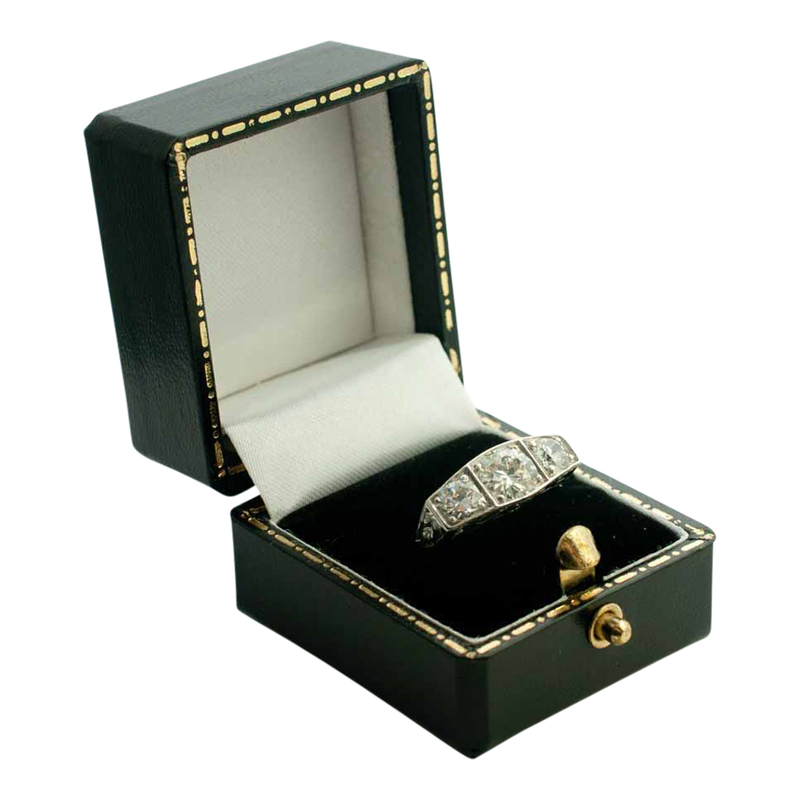 Weight 3.3gms. 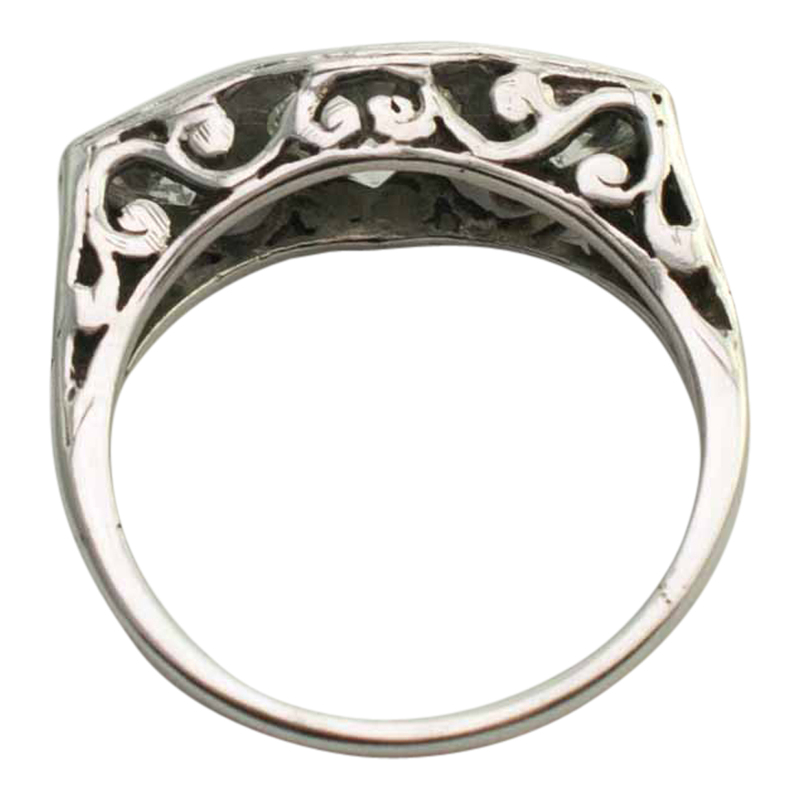 measurements 1.9cm wide x 1.7cm depth. 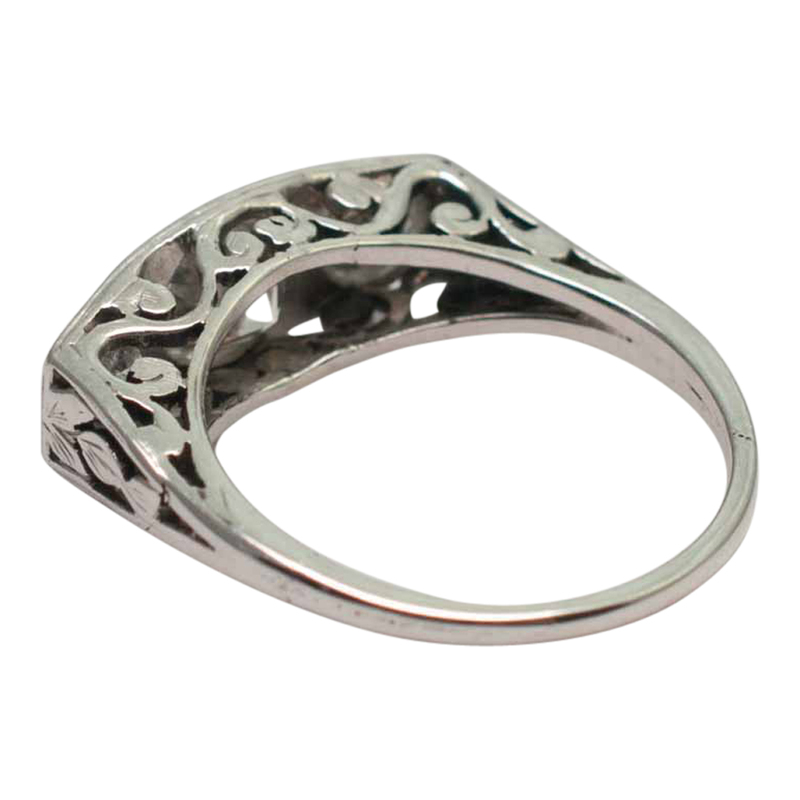 Finger size L (UK), 5.75 (US), 51 (French), 11 (Italian).